Clackamas quarterbacks Austin Atkeson and Caleb "C.J." Jordan passed for a combined 259 yards and four touchdowns, pacing the top-ranked Cavaliers to a 51-8 blowout win Friday over the visiting Gresham Gophers in the 6A Special District 4 opener for both teams. Richard Kennewell caught touchdown passes of 28 yards and 21 yards from Atkeson and scored on a 38-yard interception return for the Cavaliers (6-0, 1-0 SD 4), who raced out to a 37-0 lead before the end of the first quarter. 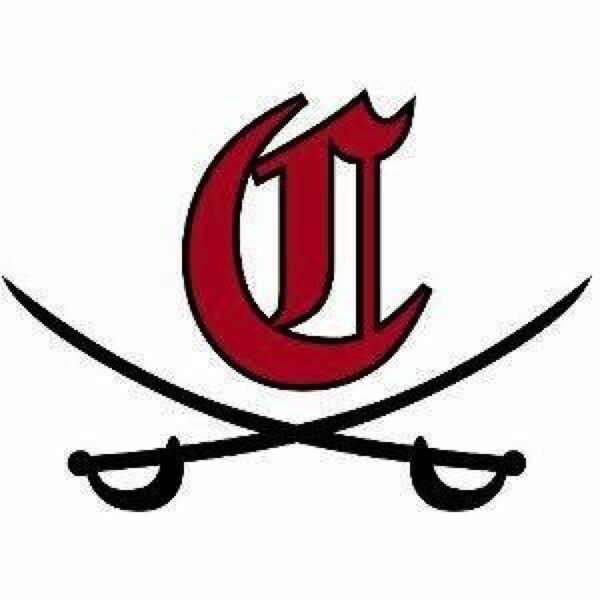 Clackamas' Jack Dollens and Thomas Tolonen also had touchdown receptions, Anthony Talavera and Jordan had one rushing touchdown each, and defensive end Justice Pagan tackled Gresham quarterback Lucas Lively in the end zone for a safety as the Cavaliers did all their scoring before halftime. Gresham's Eric Puclik caught a 16-yard touchdown pass from Lively in the fourth quarter as the Gophers (2-4, 0-1) avoided the shutout. Clackamas returns home Thursday to face Reynolds (5-1, 1-0), while Gresham plays host to David Douglas (2-4, 0-1). MILWAUKIE 61, BENSON 19: Milwaukie running back Logan LaPine scored on touchdown runs of 24 and 20 yards and had a 35-yard interception return for a touchdown, pacing the Mustangs to a 5A Special District 1-East home win Friday over the Techmen on Senior Night at Alder Creek Middle School. Leading 14-12, Evan Layton broke loose on a 65-yard touchdown run to given the Mustangs a 21-12 lead midway through the second quarter. Layton scored again on a 15-yard run in the third quarter, pushing Milwaukie's lead to 28-19. Benson (0-6, 0-4) did all of its scoring in the second quarter when Seven Antoine caught touchdown passes of 22, 64, and 13 yards from quarterback Jaylen Russell. The Mustangs play Thursday at La Salle Prep in a 7 p.m. game, while Benson returns home to face Putnam at Buckman Field in Northwest Portland.at 5:30 p.m.
PENDLETON 62, LA SALLE PREP 14: Pendleton quarterback Trent Sorey rushed for 111 yards and two touchdowns and passed for 106 yards and two scores, pacing the No. 2 Buckeroos to a 5A Special District 1-East home win over the Falcons at the Round-Up Arena. Pendleton's Shawn Yeager finished with a game-high 112 yards rushed and scored three touchdowns, and Aiden Patterson added 92 yards rushing a four touchdowns for the league-leading Bucks (6-0, 5-0 SD 1-East). La Salle Prep quarterback Ethan Edgerly and running back James Menor had one rushing touchdown each for the Falcons (4-2, 3-1), who dropped into a second-place tie with Parkrose. The Falcons return home Thursday to face Milwaukie, and Pendleton travels to Parkrose. Both games start at 7 p.m. HOOD RIVER VALLEY 43, PUTNAM 12: Hood River Valley's Brandon Rivera rushed for a game-high 165 yards on 20 carries and scored on runs of 2, 7, 6, and 17 yards to lift the Eagles to a 5A Special District 1-East home win Friday over the Kingsmen. Putnam's Ozzy MacKenzie had six carries for a team-high 61 yards and a touchdown, and Caleb Tovey added 11 carries for 36 yards and a touchdown for the Kingsmen, who will look to bounce back Thursday when they travel to face Benson in a 5:30 p.m. game at Buckman Field in Northeast Portland.